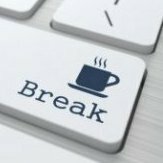 Just to let you know – Wacom Pen input (Cintiq) is still utterly broken here. Works with no issues in Photoshop CS6, Zbrush, 3DCoat etc. The second post in the linked thread shows the bugs (short clips). Installing now. Not that it matters to me personally, but I found that I couldn't use any of the option controls (i.e. 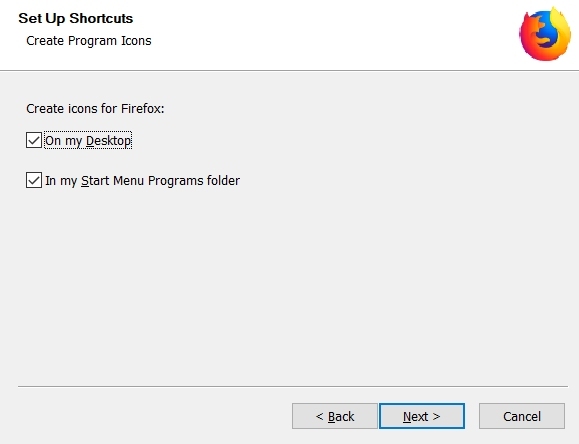 the location text box, the ellipsis button and the 'Create a shortcut' checkbox) on the first screen of the installer. That's because you've already got a beta install, so it preserves your options. Thanks for the explanation, Mark, but it doesn't sound very optional! I might want to choose a different location for this beta install, or change my mind about whether or not to put a shortcut on the Desktop. Yes, of course, but that seems unnecessarily complicated for anyone who does actually want to change their settings. Why not simply display the existing settings if there are any, or the defaults if not, and allow the user to change them if they want to? Having just installed the new betas of Photo and Designer on Win10, I noticed another change to the prior betas and retail versions that I've installed. Previously when installing a new version the program would show up in the Windows Start Menu as a "Recently Added" program. That did not happen with this new beta. I'm not sure this should be considered a problem, and maybe it's intentional, but thought I'd mention it as it could be confusing to users. Do you mind telling us if you think this was an "update" to the beta that was already installed (like Alfred has described) or if you had already uninstalled the previous beta? Sorry, Patrick; should have mentioned that. I had not uninstalled the previous beta. I generally have let the new beta uninstall the older one, which has previously resulted in Windows considering the new beta to be a newly installed program. I generally have let the new beta uninstall the older one, which has previously resulted in Windows considering the new beta to be a newly installed program. I followed the same procedure this time, and noticed the different result. If the new process followed by your installers is treating it as an update and not a reinstall, that may explain the results I saw. Thank you that is what I thought, please don't apologise it's just nice to get the feedback and interaction from customers. This installer is almost 100% new and the different behaviour is what we are looking for, and use the reports to decide if it is desirable. I think if you "update" an existing install it is like a patch and not really "recently installed", even though both appearing there and not appearing there both make some sense. In that case it might be better to remove the UI, and just have Update and Close available. Not that it matters to me personally, but I found that I couldn't use any of the option controls (i.e. 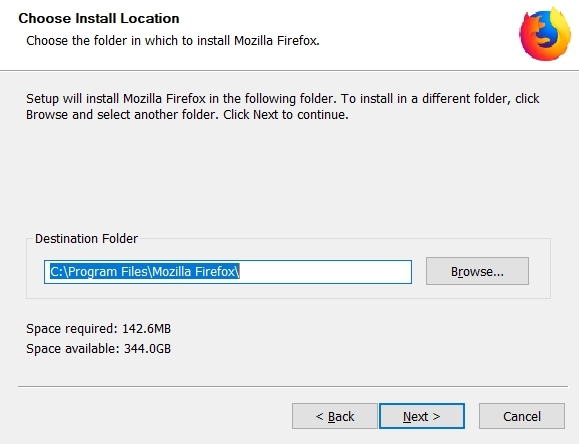 the location text box, the ellipsis button and the 'Create a shortcut' checkbox) on the first screen of the installer. Why not simply display the existing settings if there are any, or the defaults if not, and allow the user to change them if they want to? I don't understand why adding something and then removing it after user's feedback in order to improve it. Anyway, installed, opened, tried a RAW file and closed right away after the temperature and the fan went crazy as usual. Nothing new to me here. It's something that was added, and disabled, because you can't change it. So my point is, why show something that is uneditable? Especially when it leads to questions and discussions like this. And my point is, why not make it editable so that showing it serves a useful purpose? Mark, I don't get it. The whole point is to get feedback from the users... or maybe not? You devs add something, users test it out, give their feedback, which in this case was how to improve it, and the response is "you can't change it". If something gets updated, it is not a new installation. Hence, the configuration is not necessary. Just look at it like on an update to your browser or your office package. You can't place it on each update into a new folder. If there were no disabled fields, the desire to change something wouldn't be there. So hiding the disabled items is the simplest solution to avoid unintended feature requests, which saves development time to work on real problems. So the beta run had a sense already. Btw. having these fields active and functional would not be an improvement, because it would make the user think, whether the destination is the same he used last time. He would have to open the windows explorer or the available file dialog to compare the paths, which is an ugly thing. My guess is that 99% would like to replace the existing beta, the others can do a clean install. Thank you @Asser82, this is spot on. just upgraded from previous beta to this one, many properties boxes (curves, levels, etc.) end up aligned to the bottom of the screen not, the bottom of available display (ie. under task bar). Now I see why sometimes on this forum there are pages of discussion for even the most basic things. What surprises me is not the answer that @Asser82 gave, for what I know he is not necessarily a developer, but the fact that @Mark Ingram agrees. Asser82, your assumption is wrong. "If something gets updated" is not, in this case, a stable release. What you refer to is the update your browser, in its official release, does automatically. It's totally normal for a user to have multiple betas installed in different locations. In fact, I can install multiple betas in separate folders. Also, as far as focusing on the real problems, that's an old mantra I've heard here so many times. It's actually the core of Affinity: let's add A, B, C, D then let's focus only on C & D because we don't have time nor resources to cover everything. Yeah, makes a lot of sense, especially when there are users who were lured by A and B! If they don't have the time to play with secondary features, why waste their time in the first place? Or why, to put it more simply, don't we call this for what it is? A mistake, which can happen to anyone. They customized the installer, they didn't expect a user reaction to it (they followed their idea of how this would work), and now here we are. Oh, before I forget, to answer your "you can't place it into a new folder", guess what? 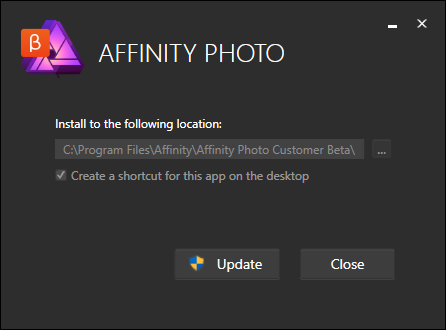 I went through the process of installing the new beta again, but first, I uninstalled the previous beta, which it is something I don't usually do (basically Affinity updates over the latest beta's path) and, to my surprise, my old beta's folder is now empty (Affinity Photo Customer Beta) and a new folder appeared (Photo Customer Beta). Yes, I left the default options the installer comes with untouched but gives you a glimpse of consistency. Quite a convoluted experience for something so basic. Verysame, all our previous beta installers have uninstalled the last beta (without any option not to) so your perfectly reasonable suggestion that you would be able to install them side by side if that dialog were simply enabled is not correct. However it's always been like that with only one customer beta "installed". We are only interested in reported issues in (a) the latest purchase version and (b) the newest beta. So to discourage mistakes in reporting against earlier betas, a new beta installer will uninstall previous ones. If you make a copy of the whole beta install folder before updating with the new installer, you can compare the new beta version with earlier ones (as we often do at Serif), but only one is actually "installed". There is no disrespect meant in these replies. Mark was agreeing with Asser82 because he has described the situation as it is and why showing the disabled dialogue could confuse some. Each build of the customer beta is an 'update' to all previous betas and the automatic uninstall is currently unavoidable and by design. I do agree that the installation would be better than it is right now if it hid these options as that is clearly less confusing. 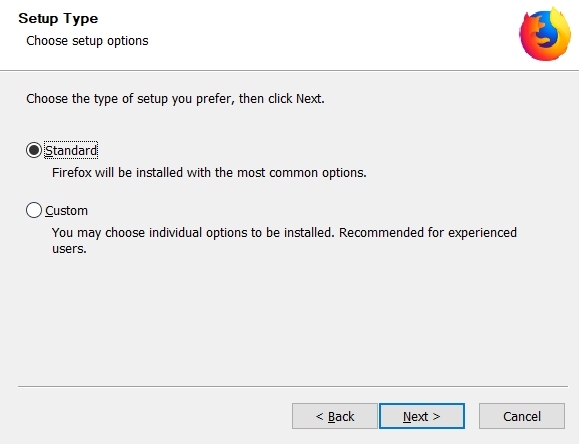 However, irrespective of whether the last beta is uninstalled, Alfred is asking for the option to choose where the upgrade is to be put. Which we have not allowed for but I also agree would be better than it is now too, and in my opinion is preferable to hiding them. But if you think of this as a patch you would not expect to be able to change the location as the files are updated, and when this customer beta is installed over any earlier customer beta, that is in effect what it is, a (very big) patch. So both positions have their own merits, one with simplicity and the other with more choice.